Space is often limited when you are living in a small apartment, which makes it hard to remove everything when you carry out renovations. For this reason, you may have to work around furniture and precious items. You could pack everything up and place it in storage for the duration of the project, but that costs money – money you may not have to spare. The best way to protect your home and its contents is to use surface and floor protection materials. Luckily, there are a number of specialist products that do an excellent job. In this article, we are going to look at how they work and which ones are most suited to protecting furniture and floors. Rolls of builder’s paper are handy if you have a lot of areas to cover and you don’t want to spend too much money. 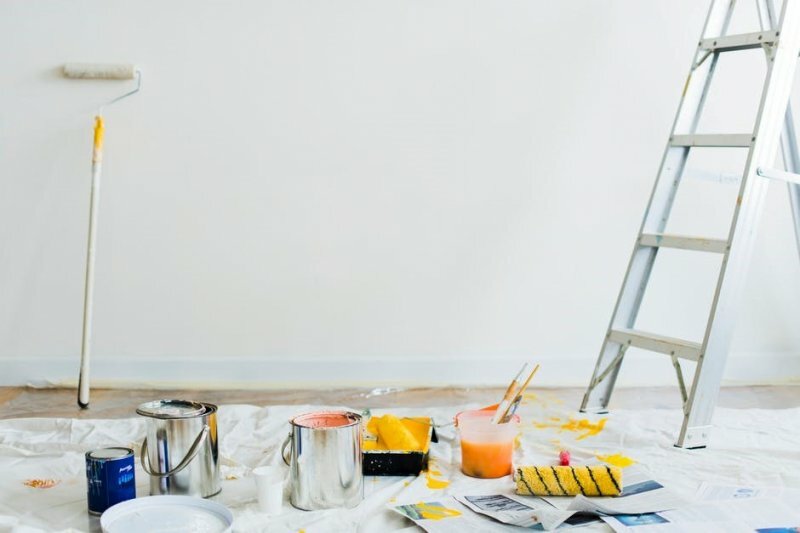 However, inexpensive builder’s paper has its limitations and it might not provide the right level of protection if the renovation is likely to be messy or you have a lot of people traipsing in and out of your apartment. Heavy-duty X-paper is more suitable in most cases. It will repel minor spills, including paint, and is breathable. It can be applied to most surfaces, including floors and solid items of furniture. Heavy-duty cotton canvas dropcloths are an all-purpose solution for when you want to protect furniture and flooring. Use cotton or plastic dropcloths to protect your precious furniture and floors from paint, mud, dust, rubble, and anything else that comes their way. There may be instances where regular surface protectors don’t offer enough protection. This will be the case when you have machinery in your apartment, or a lot of heavy foot traffic in and out. If this is the case and your renovation project is fairly extensive, consider investing in a slip-resistant padded surface protector. It comes with a tacky backing coat, so it will adhere to hard surfaces and floors. Will workmen be using welding equipment or heat guns to join pipework? If this is the case, you need surface protection materials that are flame retardant, not to mention slip-proof. Look for materials that won’t melt or burn when exposed to heat, flames, and sparks. Ideally, products should be certified to NFPA-701 Test Method 2. Water can cause a lot of damage during a renovation project. One burst pipe or a spillage can ruin hardwood floors or expensive furniture. If you are concerned about liquid spillage, protect your surfaces with materials that are waterproof and leakproof. Seal joins in the material with suitable adhesive flooring seam tape to protect all areas. Don’t forget to protect your windows and glazing areas too. Adhesive plastic sheeting is handy in this regard. If you want to prevent dust from spreading between different areas of the apartment, use heavy-duty plastic sheeting to create screens and ensure there is plenty of ventilation at all times.